Saved as by fire as per 1 Cor. 3:15? Yes, but NOT if we sin! This verse does not say that we can be saved in our sins, and notice that sins are not even mentioned in the context. This is a warning to christians (not sinners) who might not always build their lives on a proper foundation, and sometimes also lack the proper motivation for doing good works. There are christians who are satisfied by with having a ”fire insurance” – an insurance that gives them the right to at least be exempted from hell, as long as they believe in Jesus Christ. They are content with this type of insurance because this means they can still get away with sinning once in a while, and the only thing they would ever risk amounts to reduced rewards in heaven. They might think it’s worth it because heaven is always heaven, and with this type of insurance they can both have their sins and their salvation too. You might exclaim that ”true christians wouldn’t reason in that way!”, but isn’t it true that also christians can choose to sin? And isn’t it likely that they might give in for sins more readily if they are being told they won’t end up in hell for it? The tragic thing is that we do NOT have an unconditional fire insurance. We risk to be cut off the vine and thrown in the fire if we lack fruit (John. 15), and we will not reap eternal life in heaven if we break the commandments and sin. If we love Jesus, we obey him (John. 14:15). The context in 1 Cor. 3:15 shows that it concerns believing christians and their building material and building methods. Sin is nowhere mentioned, and it’s not even needed to be mentioned since we already know from the rest of the Bible that sins separate us from God unless we repent. Nothing unholy shall enter heaven, and sins evidently make us unholy. We can read that the foundation that we build upon must be JESUS CHRIST (and not ourselves, a philosophy, a pastor, a church, a dear friend, money, high status, tradition or someone/something else). It’s the motives in our hearts that will be judged by God. He can see what ground we are building on, and the reasoning in our hearts. Our motive should be to spread the gospel about Jesus Christ in order to see people saved. 1 C0r. 3:3 For ye are yet carnal: for whereas there is among you envying, and strife, and divisions, are ye not carnal, and walk as men? Rom. 8:6 For to be carnally minded is death; but to be spiritually minded is life and peace. Speaking about christians, Paul says that they shall receive ”his own reward” according to their LABOR. This indicates these christians at least do some work, which means they produce some good fruit. That is a good thing because we know that lukewarm christians are not saved. We will reap the reward of eternal life if we show our faith with good works, and we will also be rewarded individually depending on our works. 1 Cor. 8 Now he that planteth and he that watereth are one: and every man shall receive his own reward according to his own labour.9 For we are labourers together with God: ye are God’s husbandry, ye are God’s building. 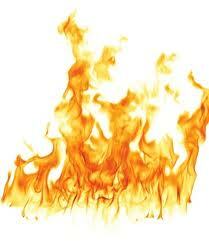 Revelation 3:16 So then because thou art lukewarm, and neither cold nor hot, I will spue thee out of my mouth. Rom. 6:16 Know ye not, that to whom ye yield yourselves servants to obey, his servants ye are to whom ye obey; whether of sin unto death, or of obedience unto righteousness? Paul warns christians that they must take heed on the way they build their lives, and every man’s work shall one day be made manifest. Do we work in order to get a popular position in the society, or because we want to go with the flow? What are our true reasons? 1 Cor.3:10 According to the grace of God which is given unto me, as a wise masterbuilder, I have laid the foundation, and another buildeth thereon. But let every man take heed how he buildeth thereupon.11 For other foundation can no man lay than that is laid, which is Jesus Christ.12 Now if any man build upon this foundation gold, silver, precious stones, wood, hay, stubble;13 Every man’s work shall be made manifest: for the day shall declare it, because it shall be revealed by fire; and the fire shall try every man’s work of what sort it is. Paul says ”IF any man’s work abide”, meaning it’s not certain it will. It’s still ”work”, but will it abide? It depends on the motives. If it abides, the man shall receive both eternal life and individual gratification, but if the work does not abide but burned he will be saved but as by fire. If the man would be sinning on the other hand, he would not even be saved as through fire, but he wouldn’t even be able to enter the kingdom at all. This story is about christians who WORK, in combination with their motives for doing so. Paul ends with a warning to christians that if they defile the temple of God, which they all are, they will be DESTROYED. 1 Cor. 3:14 IF any man’s work abide which he hath built thereupon, he shall receive a reward.15 IF any man’s work shall be burned, he shall suffer loss: but he himself shall be saved; yet so as by fire.16 Know ye not that ye are the temple of God, and that the Spirit of God dwelleth in you?17 If any man defile the temple of God, him shall God destroy; for the temple of God is holy, which temple ye are. Read also the next chapter which is also about the intent of the heart. 1 Cor. 4:5 Therefore judge nothing before the time, until the Lord come, who both will bring to light the hidden things of darkness, and will make manifest the counsels of the hearts: and then shall every man have praise of God.6 And these things, brethren, I have in a figure transferred to myself and to Apollos for your sakes; that ye might learn in us not to think of men above that which is written, that no one of you be puffed up for one against another. 1 Kor. 6:9 Know ye not that the unrighteous shall not inherit the kingdom of God? Be not deceived: neither fornicators, nor idolaters, nor adulterers, nor effeminate, nor abusers of themselves with mankind,10 Nor thieves, nor covetous, nor drunkards, nor revilers, nor extortioners, shall inherit the kingdom of God. There are not several rocks which the Church is built upon but ONE. The ROCK is clearly identified as Jesus Christ which the below verses clearly show. Deut.32:3 Because I will publish the name of the Lord: ascribe ye greatness unto our God.4 He is the Rock, his work is perfect: for all his ways are judgment: a God of truth and without iniquity, just and right is he.—15 But Jeshurun waxed fat, and kicked: thou art waxen fat, thou art grown thick, thou art covered with fatness; then he forsook God which made him, and lightly esteemed the Rock of his salvation.—18 Of the Rock that begat thee thou art unmindful, and hast forgotten God that formed thee. 1 Sam. 2:2 There is none holy as the Lord: for there is none beside thee: neither is there any rock like our God. Psalm 18:31 For who is God save the Lord? or who is a rock save our God? 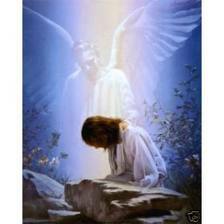 Psalm 95:1 O come, let us sing unto the LORD: let us make a joyful noise to the rock of our salvation. Romans 9:33 As it is written, Behold, I lay in Sion a stumblingstone and rock of offence: and whosoever believeth on him shall not be ashamed. 1 Cor. 10:1 Moreover, brethren, I would not that ye should be ignorant, how that all our fathers were under the cloud, and all passed through the sea;2 And were all baptized unto Moses in the cloud and in the sea;3 And did all eat the same spiritual meat;4 And did all drink the same spiritual drink: for they drank of that spiritual Rock that followed them: and that rock was CHRIST. 1 Cor. 3:11 For other foundation can no man lay than that is laid, which is Jesus Christ. 1 Peter 2:4 To whom coming, as unto a living stone, disallowed indeed of men, but chosen of God, and precious,5 Ye also, as lively stones, are built up a spiritual house, an holy priesthood, to offer up spiritual sacrifices, acceptable to God by Jesus Christ.6 Wherefore also it is contained in the scripture, Behold, I lay in Sion a chief corner stone, elect, precious: and he that believeth on him shall not be confounded.7 Unto you therefore which believe he is precious: but unto them which be disobedient, the stone which the builders disallowed, the same is made the head of the corner,8 And a stone of stumbling, and a rock (petra) of offence, even to them which stumble at the word, being disobedient: whereunto also they were appointed. Matthew 16:16 And Simon Peter answered and said,Thou art the Christ, the Son of the living God.17 And Jesus answered and said unto him, Blessed art thou, Simon Barjona: for flesh and blood hath not revealed it unto thee, but my Father which is in heaven.18 And I say also unto thee, That thou art Peter, and upon THIS rock I will build MY church; and the gates of hell shall not prevail against it. Peter’s name means rock (petros) but Jesus said: ”You are Peter (Petros), and upon this rock (PETRA) I will build My church.” Petra is a feminine noun that refers to a mass of rock, and Petros is masculine in gender and refers to a boulder or a detached stone. We could read the statement as ”You are Stone, and upon this Bedrock I will build My church.” Jesus words would indicate that the rock on which the church would be built was something other than Peter, and WHY Jesus build his church on PETER of all people when a better choice would be JESUS HIMSELF and God’s words in the BIBLE? Both the old and the new testament constantly warn people from bowing down to other gods/prophets and from deviating from the Scriptures. The passage starts with a question concerning Jesus identity and ends with Jesus statement about the ROCK. Jesus starts off asking ”Who do people say that the Son of Man is?”. Peter answers ”Thou art the Christ, the Son of the living God”. 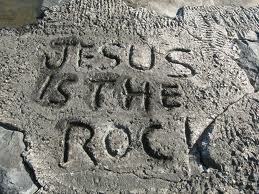 So”this rock” likely refers to Jesus in His identity as the Son of God since this is that topic that was discussed. Some catholics speculate that Jesus was speaking in Aramaic and only repeated Peter’s Aramaic name Kepha. But the inspired New Testament Scriptures were written in GREEK and not Aramaic and can be trusted since it derives from Divine inspiration. If the Aramaic is clear but the Greek inadequate or confusing, why did not the Holy Spirit simply use the Aramaic word to clear up the case as done elsewhere in the NT? When the Holy Spirit inspired the Greek text of the New Testament, he made a distinction between Peter (Petros) and the rock (petra) and there must be a reason for this. God is not a God of confusion. Some suggest that it’s the confession of faith that Peter made (acknowledging that Jesus is the Christ) that is the rock that the church should be built on, and this will give the same result. To base an entire doctrine on a verse that doesn’t even come near confirming that Peter is the rock is very risky. Would God really choose to disclose such an important piece of information in such a vague manner, resulting in that millions of honest truth-seeking christians miss out on joining the Catholic Church which supposedly is based on this rock? Couldn’t God have been a bit more clear on this issue if it’s so important? Jesus is that perfect cornerstone upon which the body of Christ is built, and not a flawed and sinful man such as Peter. In Matthew 16:23, just five verses after Jesus spoke of the ”rock”, he called Peter ”Satan”.